My baby loves these, they are super to have when going out and about. One downside is that they can leave horrible colour on hands and clothes. Also the bag is very big and once you open the bag the rest go off and lose their original texture. 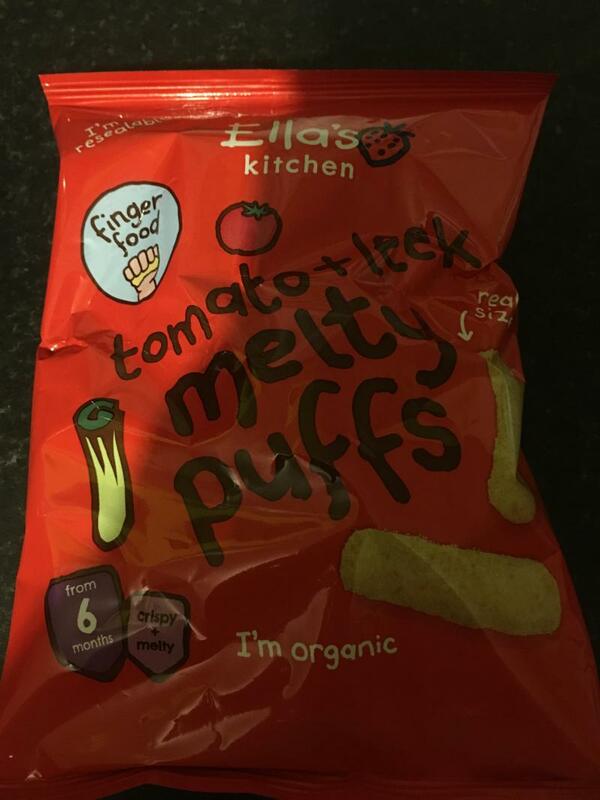 My 7 month old absolutely loves these puff crisps. She can hold them in her hand and they just melt in her mouth. The tomato and leek combination seems to be her favourite flavour. A little pricey considering what they are but worth it. This is really tasty, and melting easily, my son loves it! It's in my weekly shopping list , best snack for baby, in the pushchair while you out and about, in the car, at home ,just name it lol .great product! 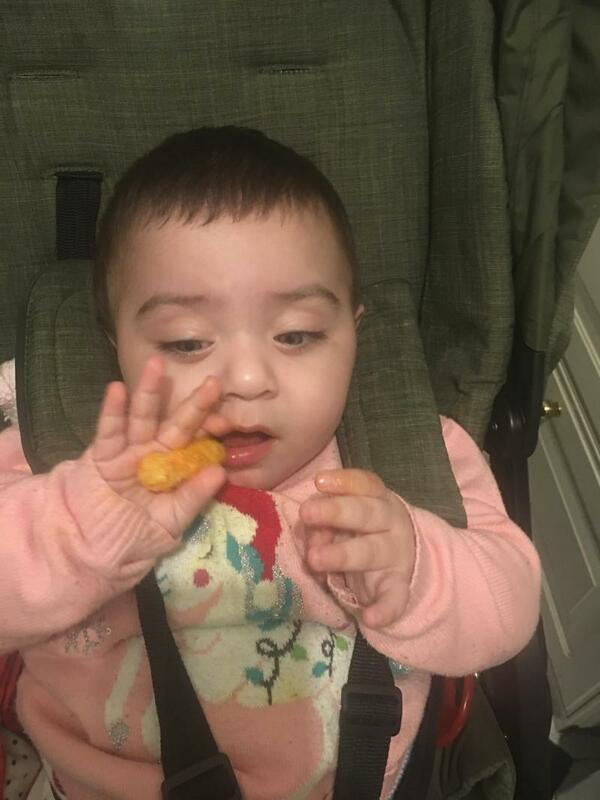 Very easy for baby to hold and easy to eat. Could have a bit more flavor. 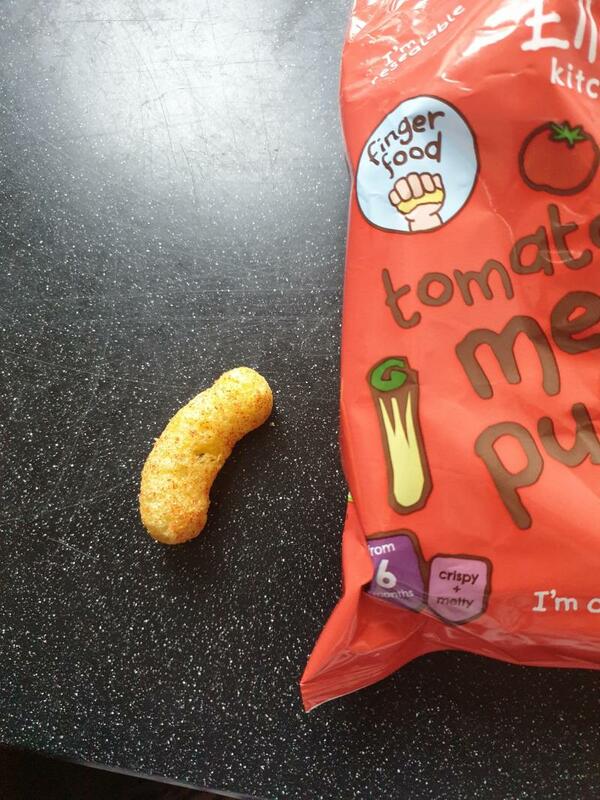 I do love that the packet is resealable too. Definitely recommend for when baby first starts weaning. These are the perfect snack for your little ones. I have a 8 month old and a nearly 3 year old and they both love them. Neither child has any issue holding or digesting them. They're brilliant as a on the go snack or to even add to a lunch. Easy and gentle for babies with few or no teeth at all! This product is a favourite in our house. It is full of flavour as well as easy and fun for my daughter to enjoy. We often use to keep her occupied while I’m making her dinner. She loves them! 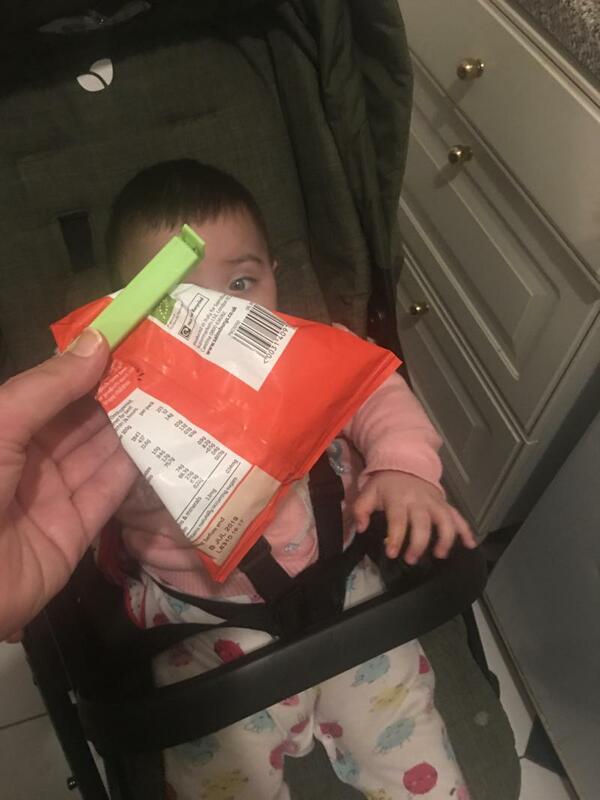 One of the first finger foods we gave and Imogen loves every flavour! They are little to no mess and really the perfect size for little hands! I bought these to try out on my baby who’s just started weaning. I thought they would be good so she can learn how to hold and feed herself. She absolutely loved it! I love how it goes soft so quickly to reduce the risk of choking. She was a bit sick afterwards but I think that’s just her digestive system getting used to food. My little boy absolutely loves these and they are perfect for babies learning how to feed themselves. 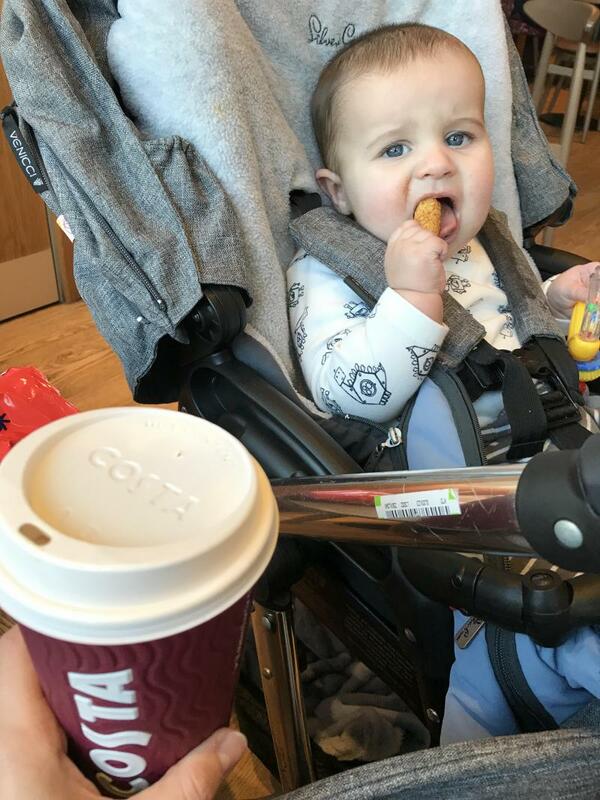 Super easy as well on the go, especially when we are out for lunch and he needs something easy to snack on. They melt in the mouth so no worries of choking which is great for us as I’m a panicker! 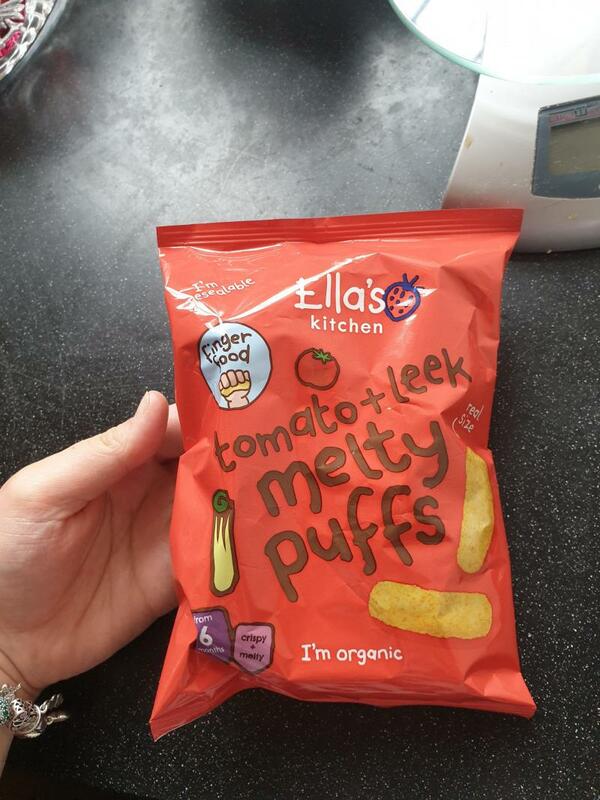 These crisps are very good to hold melt in the mouth and are tasty. They make little mess and are very good to teach your baby how to feed self and great for snacking. Seems to be her favourite snack so far. I think this is a brilliant product for baby’s to eat and snack on whilst out and about. 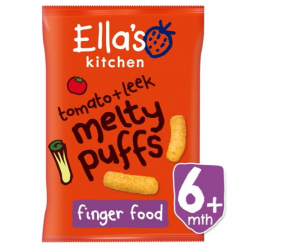 I would Ella’s Kitchens snacks to any new parent! Both my girls took to eating these straight away. They are very easy for them to hold and they can’t drop them easily so helped them persevere with their hand-eye co-ordination. Easy to take out with you and they have the added bonus of a re-seal label. Just make sure your baby is fully covered as the colour of them can stain clothes! I tried these with my baby at 8 months and he loved them. They taste nice and kept him busy. They are abit pricy though but worth it as they are healthy for my baby. My LO simply love snacking on these puffs. It tastes good and melts in babies mouth. You don't have to worry about them taking a big bite. Only complaint I have is that they could put some more in a pack for the same price. These are my LOs favourite snack, she goes mad for them. Really easy to grab finger food. Seems tasty to her, I don’t think they have much flavour, but she loves them. Easy to eat, easy to digest. They melt really quickly in the mouth, so don’t worry if LO has put avrather large piece/whole thing in their mouth, it will dissolve pretty fast. I only buy when they are on offer, as I think they are a little on the expensive side. 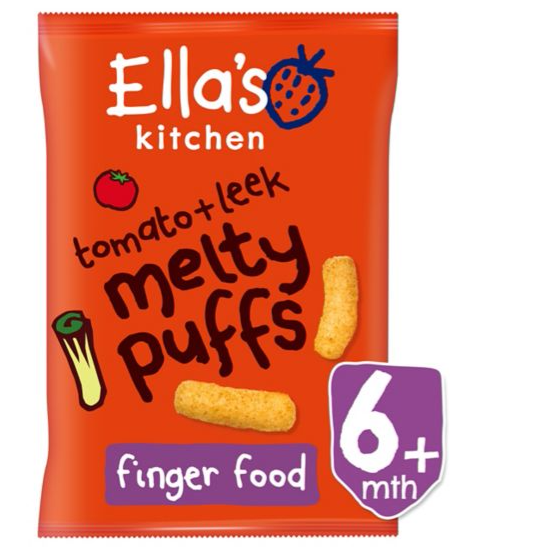 The Ella's Kitchen Grab Me Melty Puffs Tomatoes 7m+ make a great snack. Organic leek and tomato maize puffs.